What’s most disappointing about the internet at the moment is the lack of information regarding past designers and architects. I find it highly frustrating searching for the designers webpage and they haven’t even bothered investing in a place to showcase their work. Often this can be put on the heads of the family of the designers who have passed away, one example of a designer who has a hard to find website, which comes in the form of a foundation page, is Franco Albini. He’s such a fantastic designer, in my opinion he could be inspiring many younger designers through his works and projects. I can envisage a space myself, probably helped by my background in web design, either way it would be great to see more information on some of the most ground breaking designers and also some nicely taken photography. People currently with great websites include the Eames Design website run by our friend Daniel Ostroff and also the Mies van der Rohe Society website which is pretty well designed also. But what about other designers? Hopefully they can catch up with the times, which is kind of ironic considering they design modern and timeless objects. 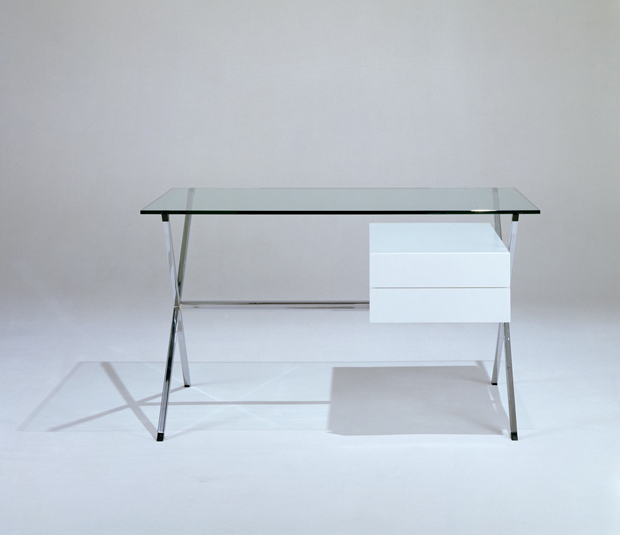 Today I’m going to do my part by showcasing this wonderful desk by Franco Albini self-titled “The Albini Desk”. 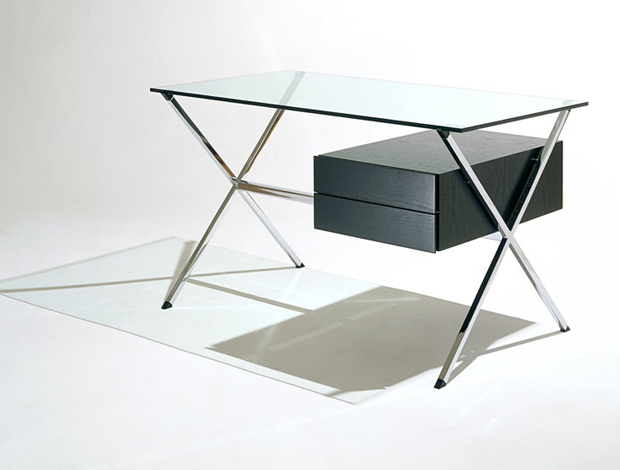 This piece has a glass top and was designed by Franco for Knoll in 1958, a classic modern design which was called by some a “floating drawer and desk” mainly due to the fact that the drawer is perched on one center bar underneath the desk. 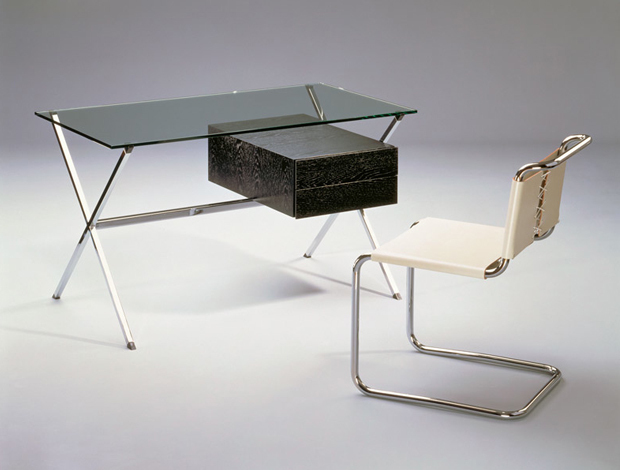 Mr Albini was actually one of the first European designers to be commissioned by Knoll to design something for them, quite ground breaking at the time considering most of the mass produced items were coming from American individuals. 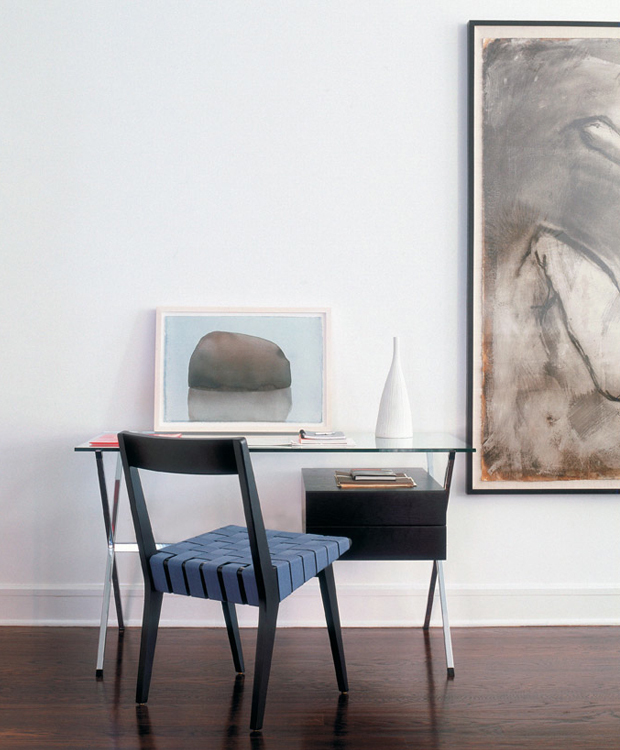 The intention of this desk was to make something that was inexpensive and that was produced from raw industrial type materials so it would stand the test of time, they also needed to be easy to source since materials were scarce after World Ward II. 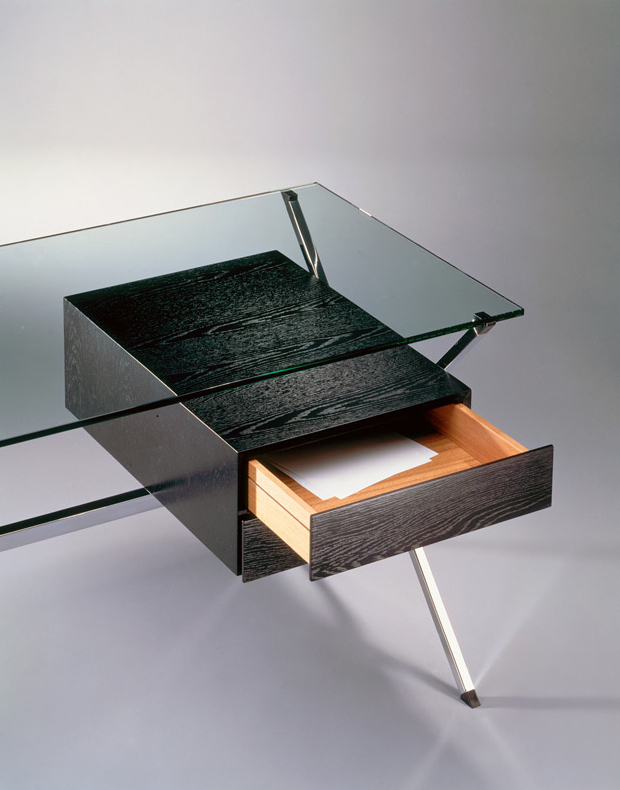 Although this is quite modernist for me, if that’s even possible, I like the fact that it’s industrial and also the fact that this was such a contrast to other designs at that specific time. It really set-up the industry for a bunch of desks like this, none of them as good though. Even though you probably won’t find a massive amount of information on Franco Albini I’d definitely recommend doing some research into this man, he’s very much an inspiring character.